Differential Trouble Shooting. ~ What is a car differential and how it works, Limited Slip and Rear differential, open differential? Differential Trouble Shooting. Differential Trouble Shooting. Les lubricating oil in the differential housing. Low viscosity lubricating oil or use of poor quality lubricating oil. Wrong adjustment of the crown wheel and pinion teeth. Worn out or broken teeth of a crown wheel or pinion. Less backlash of crown wheel and pinion teeth. Worn out the bearing of crown wheel or pinion. Crown wheel misaligned on the cage. broken or worn out thrust washer of star pinion or sun pinion. Broken teeth of crown wheel and pinion. 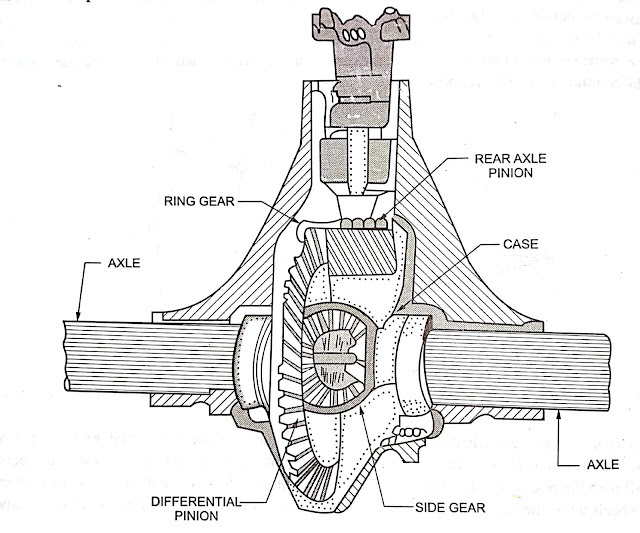 Broken cross or star pinion. 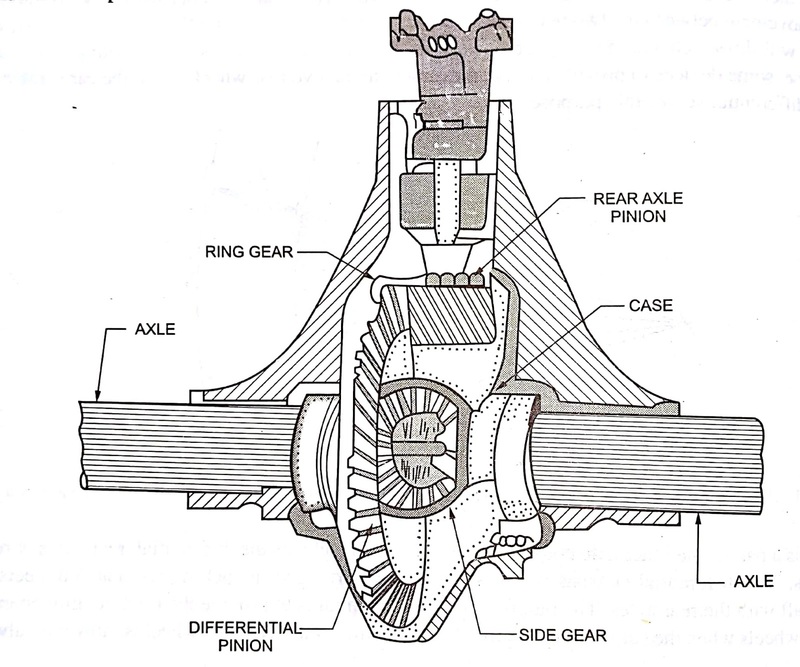 A sectional view of Differential.